NEW YORK, NY (March 2018) – Beloved storytelling nonprofit The Moth —the team behind The Moth Radio Hour and Moth Podcast— will premiere in two new cities this Spring: The first, on April 12th, will be presented at the Sioux Falls, SD’s Orpheum Theater (132 South Phillips) in Sioux Falls, SD. The Moth presents true, personal stories by wildly divergent raconteurs, from in the arts and sciences, an astronaut, an undertaker, a voodoo priestess and a retired NYPD detective, among many others. Each show is composed of simple, old-fashioned storytelling on thoroughly modern themes, every story is told live on stage, without notes. Presented in partnership with South Dakota Public Broadcasting, the April 12th show in Sioux Falls will feature host Dame Wilburn and stories from Kari Adams, David Montgomery, Terrance Flynn, Alistair Bane and more. Doors open at 6:30PM; stories begin at 7:30PM. Show tickets are $32 and are available for purchase at https://themoth.org/events/the-moth-mainstage-in-sioux-falls. “We’re excited to take the stage for the first time in Sioux Falls – a city brimming with history and rich narratives,” says Catherine Burns, Artistic Director of The Moth. 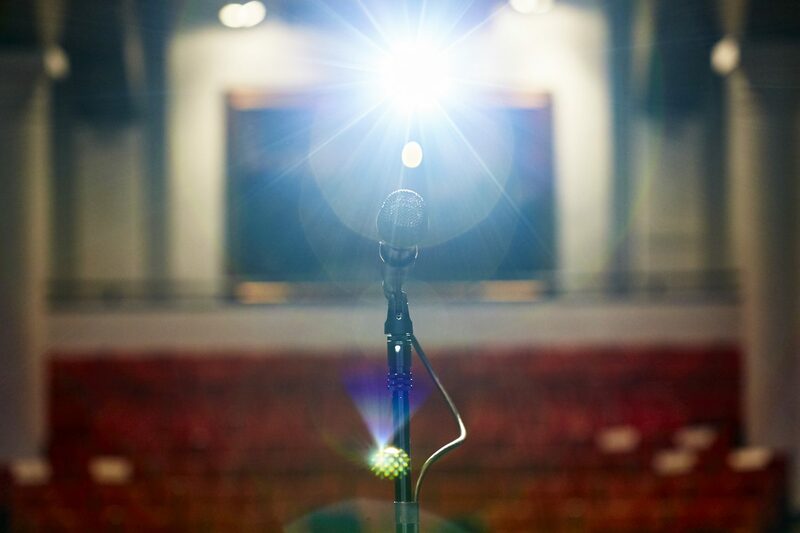 “These Moth Mainstages are made possible by the generous support from the NEA and will undoubtedly offer a brilliant evening of storytelling, featuring Moth favorites alongside local tellers.” More details available here: www.themoth.org. The Moth is an acclaimed nonprofit organization dedicated to the art and craft of storytelling, which celebrated its 20th Anniversary in 2017. Since launching in 1997, The Moth has presented over 20,000 stories, told live and without notes to standing-­room-only crowds worldwide. The Moth conducts seven ongoing programs: The Moth Mainstage, which tours internationally, has featured stories by Malcolm Gladwell, Darryl “DMC” McDaniels, John Turturro, Molly Ringwald, and Tig Notaro, as well as a scientist, a pickpocket, a hot­dog eating champion and hundreds more; The Moth StorySLAM program, which conducts open mic storytelling competitions in 28 cities; 25 in the US plus Sydney and Melbourne, AU, and London, UK; The Moth Community Program, which offers storytelling workshops and performance opportunities to adults who are too often overlooked by the mainstream media; The Moth High School StorySLAMs, which bring the thrill of personal storytelling to high schools in New York and educators around the world; The Moth Podcast, which is downloaded more than 46 million times a year; The Moth Corporate Program, which provides industry-specific storytelling solutions; and the Peabody Award-winning The Moth Radio Hour which airs weekly on 450+ public radio stations nationwide. The Moth’s second book, THE MOTH PRESENTS ALL THESE WONDERS: True Stories about Facing the Unknown (Crown Archetype; Hardcover; $25.00) was published in March 2017. Learn more at www.themoth.org.